Are you new to the Crescent City? Then you’ve probably been a little confused about what we mean when we mention raised basement homes in New Orleans. In other parts of the country, basements are common. But they don’t have the water table issues that we face in New Orleans, making it rare that you’ll find anything below ground. Instead, you’ll find above ground “basements” that were originally storage space, with living space on the second floor. Many of the basement spaces have been converted to living space (legal and otherwise) over the years. The city requires a minimum 7 foot ceiling height for living areas, so keep that in mind if you find a property where you’d like to expand the living space. You’ll find plenty of raised basements across the city, but the vast majority of them are in Mid City, Broadmoor and the Carrollton areas. 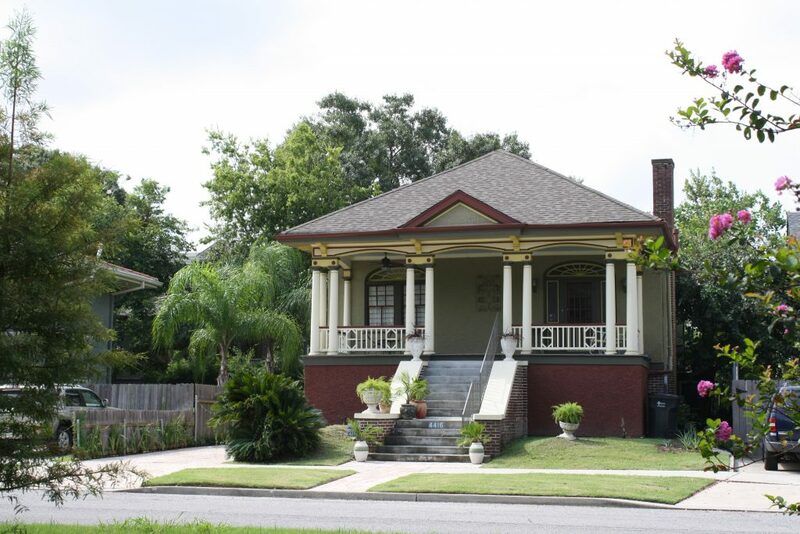 How can you identify this uniquely New Orleans architecture? Look for the prominent front stairs that lead to the second floor entry.